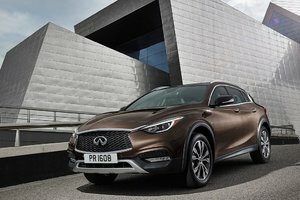 There are several options available to buyers looking for a compact luxury cars. There are obviously a wide range of German models, but there are also many Japanese luxury vehicle options. 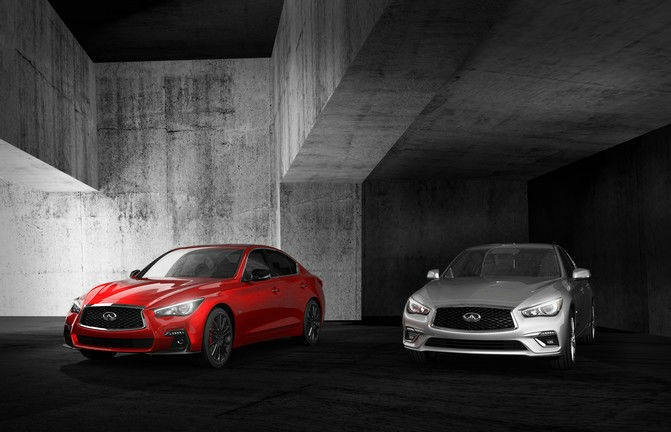 The 2018 Infiniti Q50 and the Acura TLX are two perfect examples. 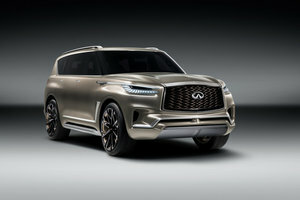 Here are two vehicles that offer a lot of luxury equipment, impressive connectivity and safety features, and of course legendary reliability. That said, there are significant differences between the two models, especially in terms of the engines and equipment you get for your money. It is true that the Q50 is more expensive on paper. It is available starting at $ 39,900 and the TLX is available starting at approximately $ 35,000. That said, the starting price does not tell the whole story. The TLX in its entry-level model offers a four-cylinder engine developing 206 horsepower and 182 lb-ft of torque. This engine transmits its power to the front wheels while the Q50 benefits from a turbocharged four-cylinder engine that produces 208 horsepower and an abundant 258 lb.-ft. of torque at low rpm. And it also comes standard with all-wheel drive. Needless to say, the performance of the new 2018 Infiniti Q50 is more impressive than they entry-level TLX, and at the same time you get the additional safety and stability of having the engine’s power sent to all four wheels. AWD is available in the Acura TLX, but at a starting price that exceeds the $ 43,000 mark. This version of the TLX will get a more powerful 3.5-liter V6 engine, something you can also get in the 2018 Q50. Except that in the Q50, we're talking about 300 horsepower and 295 lb-ft of torque, whereas in the TLX, the horsepower is set at 290 horsepower and 267 pound-feet of torque. Again, the performance of the Q50 is much more interesting, especially as there is another option in the powertrain catalogue. It’s basically the same engine, but with 400 horsepower and 350 lb-ft of torque. This allows the Infiniti Q50 to reach 100 km/h in just 4.9 seconds. In addition to offering more power, the Q50 also offers a more extensive list of standard equipment including the sunroof, dual-zone climate control, heated steering wheel, heated seats, keyless entry with push button start, satellite radio, dual-screen infotainment system and much more. 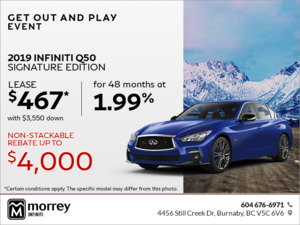 To learn more about the new 2018 Infiniti Q50, contact us today at Morrey Infiniti!